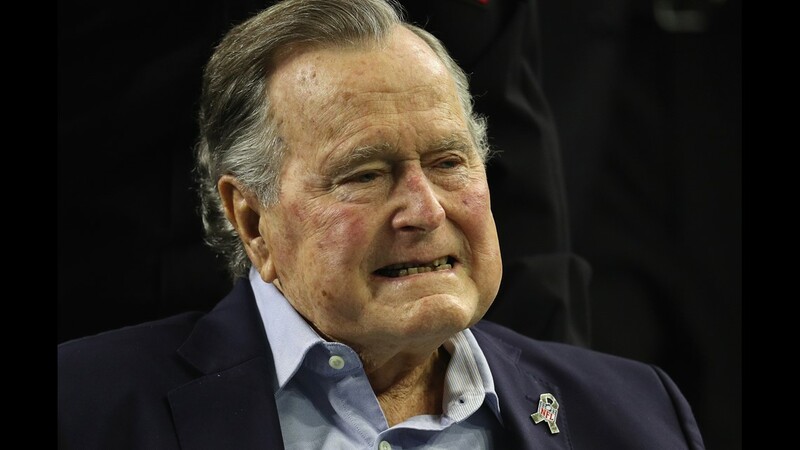 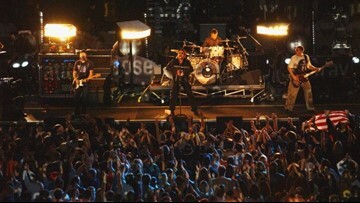 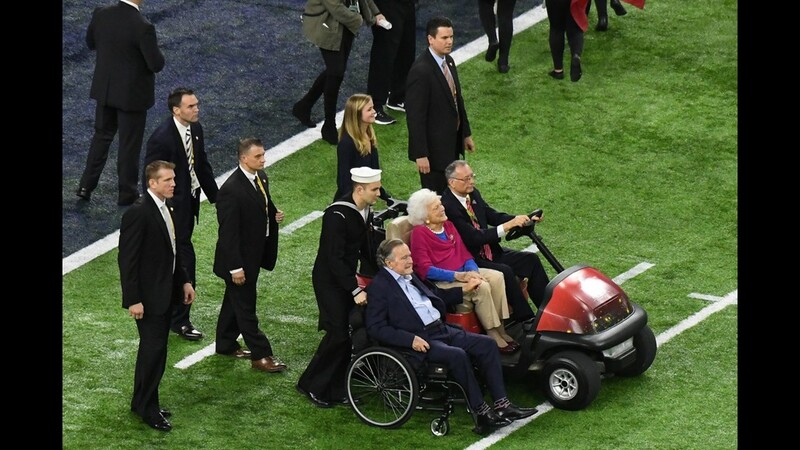 HOUSTON, TX - FEBRUARY 05: President George H.W. 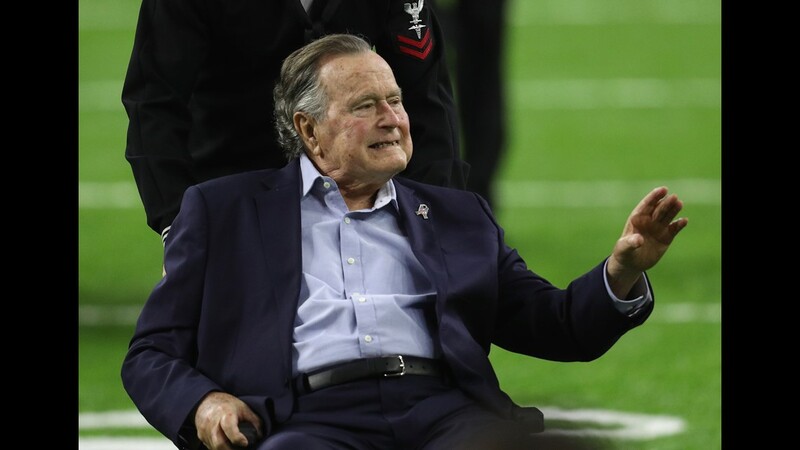 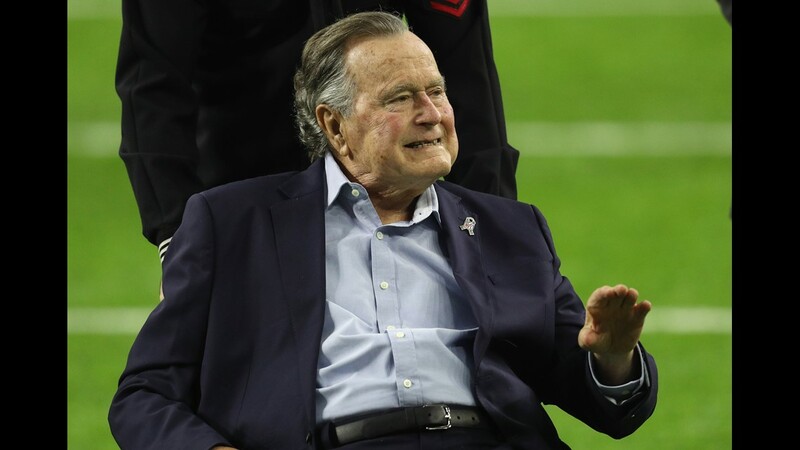 Bush looks on during the coin toss prior to Super Bowl 51 between the Atlanta Falcons and the New England Patriots at NRG Stadium on February 5, 2017 in Houston, Texas. 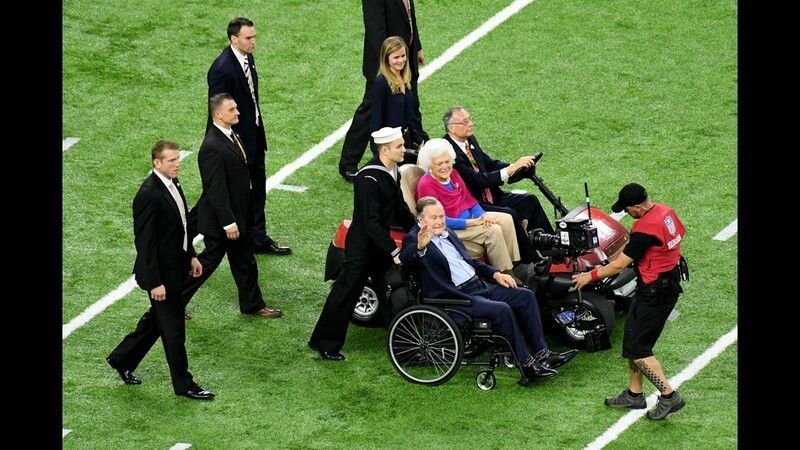 HOUSTON, TX - FEBRUARY 05: Former US President George H. W. Bush and former First Lady Barbara Bush look on prior to Super Bowl 51 between the New England Patriots and the Atlanta Falcons at NRG Stadium on February 5, 2017 in Houston, Texas. 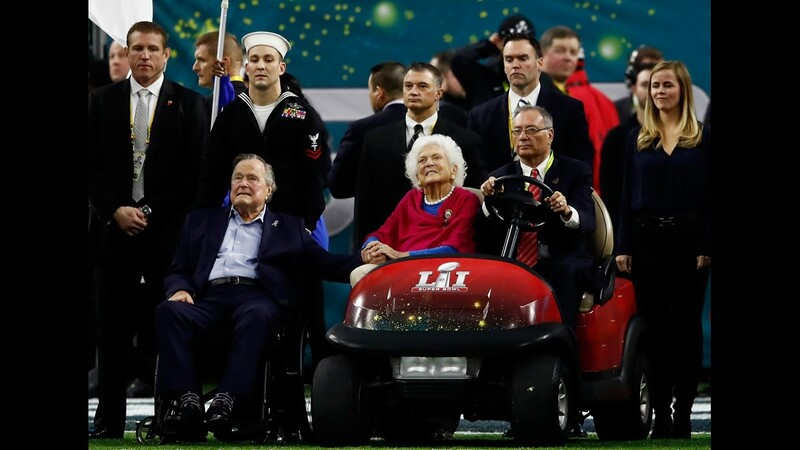 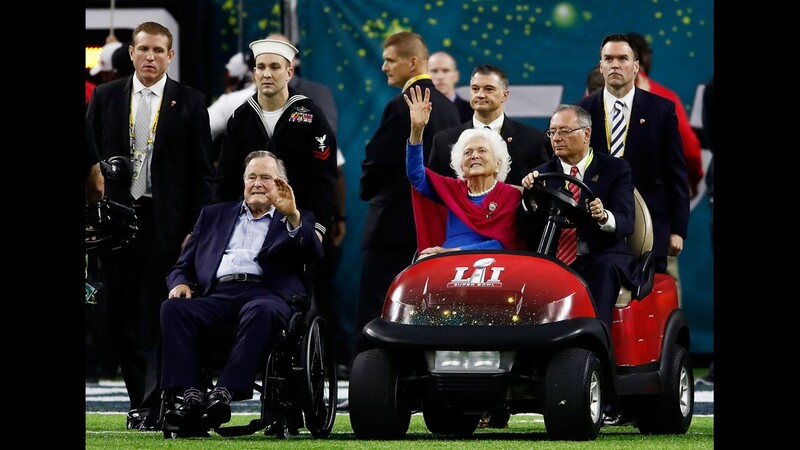 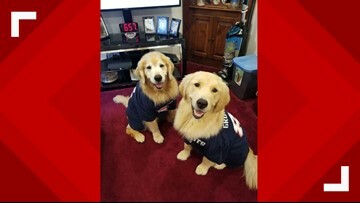 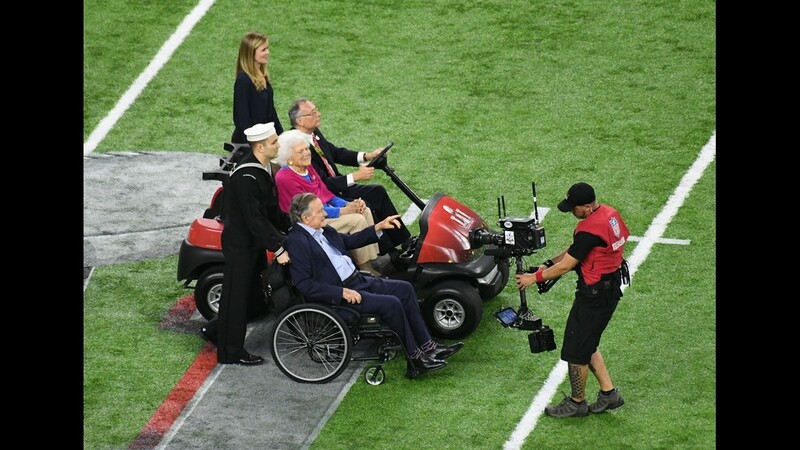 Feb 5, 2017; Houston, TX, USA; President George H. W. Bush and former first lady Barbara Bush are brought on to the field for the coin toss during Super Bowl LI at NRG Stadium.